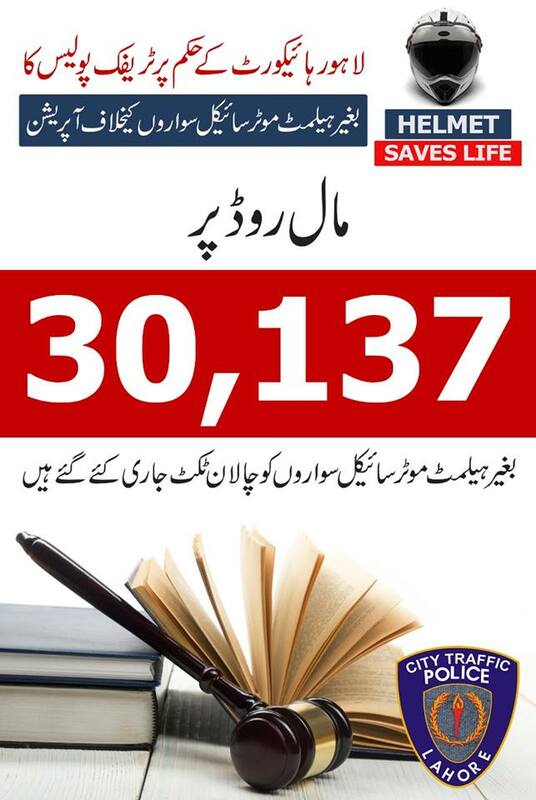 In a bid to force bikers to wear a helmet while making their way through the famous Mall road, City Traffic Police Lahore, is harshly going after the violators and till now has issued 30,137 tickets. 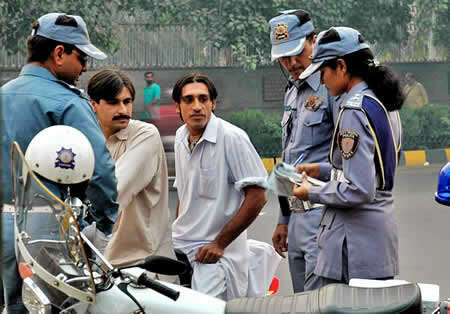 The authority, on the orders of Lahore High Court (LHC), at the end of September 2018 barred bikers who are not wearing a helmet from entering the Mall road and till now has issued thousands of tickets to violators in the process. As per the details, the authority has stationed extra wardens on Mall road to not let the violator escape the claws of law. The iron steps are being taken to ensure the safety of the bikers, traffic police asserted in a public service message. Moreover, the authority is also cracking down on underage drivers and people who don’t use side mirrors on their bikes. Furthermore, traffic police will also harshly crackdown on pillion riders from 1st of December 2018, if they found them without a helmet. In the meantime, bikers and pillions will be encouraged to wear a helmet as it can save the life during an accident, says Chief Traffic officer Liaquat Ali Malik. 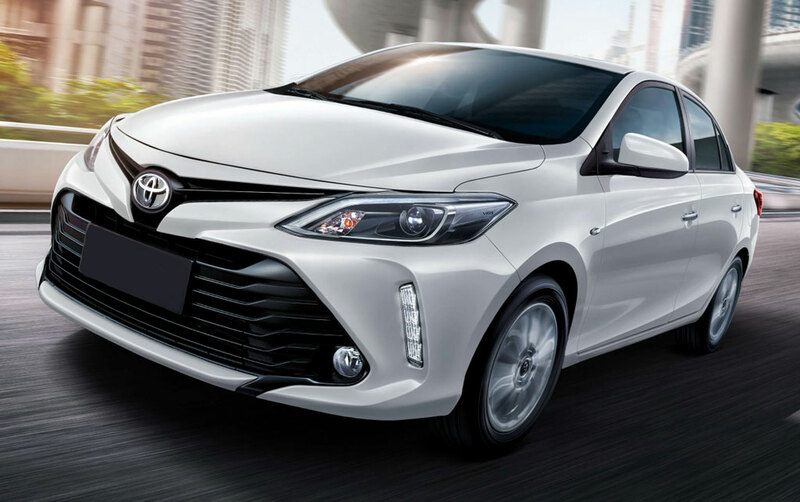 Additionally, people who are driving vehicles without keeping driving license while driving or don’t have any will face serious fines, after December 2018.